The month of January is just about over and we are coming up on the end of our Early Bird registration window for PostgresConf US 2018, which takes place in Jersey City, New Jersey from April 16th to April 20st at The Westin Jersey City Newport. You have until tomorrow to purchase your tickets for $200 off for the largest PostgreSQL conference in the world. Early Bird tickets are on sale here through January 31. For a complete list, check out the events page for all of our training classes. At the Westin Jersey City Newport, we have negotiated a discounted conference room rate of $260/night + applicable taxes for attendees. Be sure to book prior to March 26, 2018 - the conference rate is not guaranteed after this date. Rooms may be booked via our dedicated Westin booking page, or via telephone (888) 627-7148. If booking via telephone please mention "PostgresConf US 2018" to receive the group rate. For more information, please visit the PostgresConf US 2018 website. Stay tuned for our presentation and breakout sessions announcement. We look forward to seeing you in April! P.S. Looking for a discount code? Check your local Postgres User Group mailing list. The time to join the largest Postgres Conference in the world by submitting a talk or training to PostgresConf US 2018! Amazing work from PostgreSQL.Org with the release of v10 which brought much sought after technologies such as native table partitioning, integrated logical replication, and mature support for federated tables. Pivotal announced multi-cloud support for their Open Source, BigData, MPP Postgres variant Greenplum. Increased support and features from Cloud Industry heavy weights AWS, Compose.IO, and Microsoft. Microsoft released Azure Database for PostgreSQL, Compose increased their high availability options, and AWS announced the availability of Amazon Aurora with PostgreSQL compatibility. Enterprise Consulting and Support continued to grow with support from PostgreSQL.Org Major Sponsors 2ndQuadrant and OpenSCG. 2017 was also the year we saw the launch of the International Postgres Conference, PostgresConf. The PostgresConf project is a globally aware, ecosystem centric conference focused on People, Postgres, Data. The project organized more events this year than any other Postgres Advocacy and Education project. In the United States there was PGConf US (now PostgresConf US), Austin Mini, Philadelphia, (2) NYC Minis, Seattle, and finally a full Austin event. The project also hosted PostgresConf South Africa and has several International events planned in 2018. We have nothing but confidence in the continued growth of PostgreSQL and the Postgres related ecosystem through 2018. 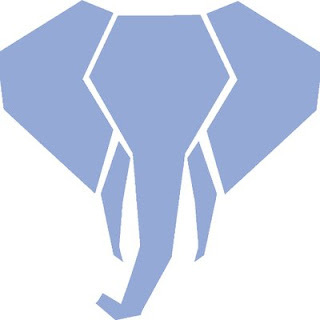 Thank you to the PostgreSQL.Org community, our ecosystem partners, and the global Postgres Ecosystem community; without you our efforts would not continue to succeed as a volunteer organized, non-profit Postgres conference. We are looking forward to a fantastic 2018, centered on People, Postgres, Data.